We recommend staying in the heart of Myrtle Beach at a large resort-style hotel or rent out a condo building. With amazing views, a resort-style layout and super-affordable rates, there’s good reason that Sandy Beach Resort is a winner in the center of Myrtle Beach. 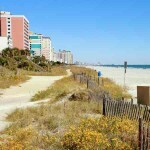 Rounding out the list is the lovely condos for rent in North Myrtle Beach offered by Grand Strand Resorts. A huge selection and affordable rates. 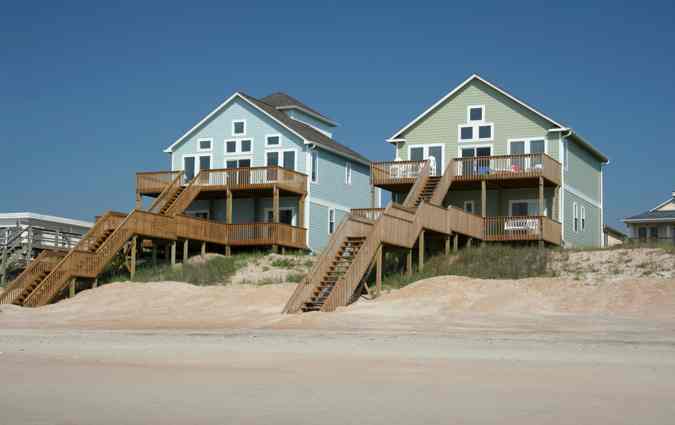 Things move just a bit slower in Holden Beach, but Brunswickland Realty is there to make sure that you can enjoy your time relaxing. Find your perfect OBX area condo rental or resort property with First Fight Rentals in Kill Devil Hills.